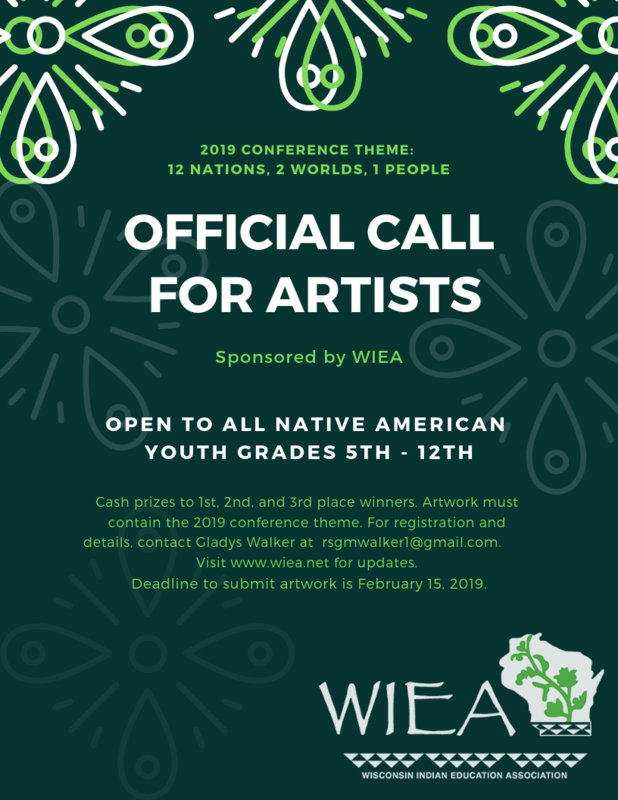 The Wisconsin Indian Education Association’s 2019 Conference Planning Committee has announced the official opening of the 2019 Youth Art Contest! 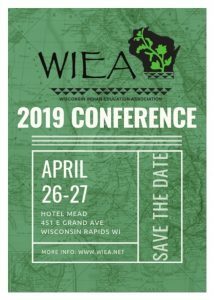 This year WIEA’s Central Region will be hosting the annual conference, which will be held April 26 & 27, 2019, at the Hotel Mead & Convention Center in Wisconsin Rapids. 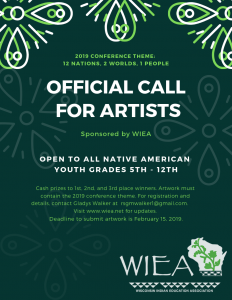 The Youth Art Contest includes Native students in grades 5th through 12th. The winning submission will be used in the logo and promotional materials for this year’s conference. Cash prizes will be awarded for 1st, 2nd and 3rd place! Deadline for submissions has been extended to March 1st! Click here for the Contest Rules and Eligibility. Click here for the Registration/Authorization Form. Click here to download the contest flyer. 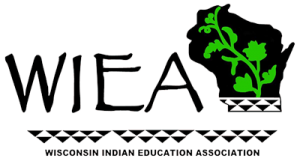 The Wisconsin Indian Education Association invites you to the 2019 conference, "12 Nations, 2 Worlds, 1 People" in Wisconsin Rapids, WI. 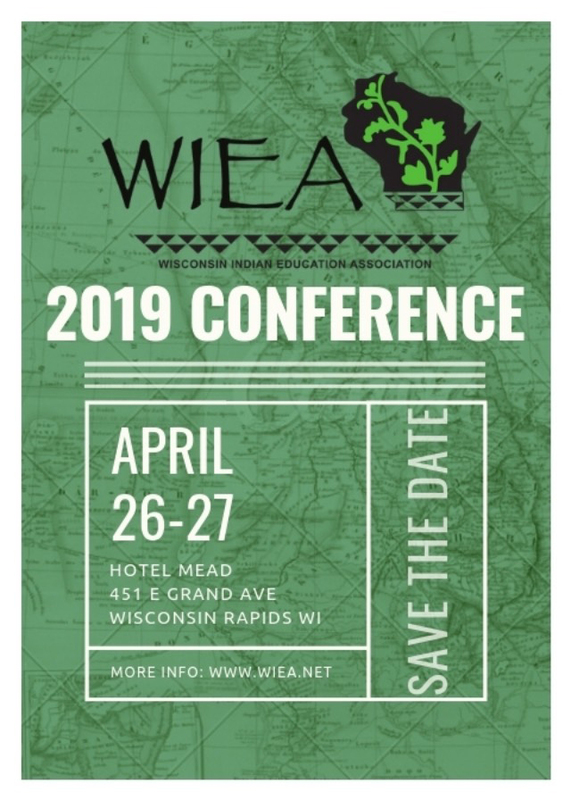 This year's conference includes appearances by Wisconsin Governor Tony Evers*, Senator Lena Taylor, Superintendent of Public Instruction Carolyn Stanford-Taylor* and Ho-Chunk President Wilford Cleveland. (*tentatively) There will be a pre-conference workshop hosted by UW's Earth Partnership on Thursday, April 25th, conference pow-wow on Friday, April 26th, Youth Day Track on Saturday, April 27th, as well as the annual Awards Banquet and ceremony later the same day, April 27th. Mark your calendars now! Get your tickets early, as Early Bird conference prices are in effect until March 15th!